Keith Allen-Niesen is a partner in the firm’s Los Angeles office and co-chair of the infrastructure practice. He has a broad range of transactional experience and oversees major business litigation, business transactions, land use and development matters. Keith has extensive experience in the acquisition, development and sale of hotels, resorts, golf courses, restaurants, office buildings, residential subdivisions, shopping centers and industrial sites, including transactions involving contaminated real property. In addition, he represents landlords on both leasing and management issues for office buildings, mixed-use developments and shopping centers. Keith is also well-versed in the areas of public/private development, land use and loan workouts involving real estate collateral. 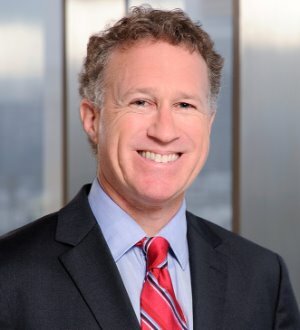 Keith is the former director of the firm’s Southern California Business & Transactions unit as well as a former national hiring partner, chair of the Real Estate & Land Use practice and member of the Compensation Committee. He is repeatedly recognized as one of the top real estate attorneys in Southern California. Keith is also the founder and senior managing director of Manatt Real Estate Advisors, the firm’s recently launched real estate brokerage affiliate. Manatt Real Estate Advisors provides a diverse suite of services, including sell-side and buy-side representation, leasing representation, and asset analysis and valuation.